Whether you are looking to increase energy, improve sleep, help manage stress, alleviate depression, manage chronic diseases like autoimmune disorder and gastrointestinal issues, or get relief from pain, I am here to help. Traditional Chinese Medicine has been used for more than 2,500 years, and includes acupuncture, herbs moxibustion, tuina, cupping, e-stim, and nutrition. In my practice, I treat the whole person, which means alleviating symptoms and treating the disease, but also identifying factors that contribute to the disease and helping my patients establish healthier habits to support the body in healing and staying healthy. Environmental factors contribute greatly to many of today's health problem. My goal is to help my patients identify these contributing factors, and then work with them step by step in implementing lasting changes for optimal health. If you are not sure if acupuncture and Traditional Eastern Medicine is for you, call today to schedule a free 15-minute initial consultation in which we can address any questions you might have. Acupuncture is probably best known for its ability to alleviate pain. But this is just scratching the surface. Studies are showing how acupuncture and traditional eastern medicine can help treat many different disease patterns. The World Health Organization has published a list of conditions on their website which can be treated with acupuncture - many of these recommendations are backed up by clinical studies. 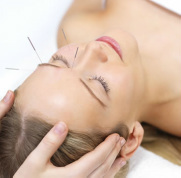 Acupuncture is a safe and effective way to restore and maintain health. For people who are afraid of needles, cupping, acupressure and moxibustion are gentle and effective treatment alternatives. 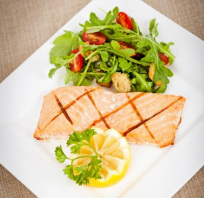 Diet plays an important role in staying healthy, and the old saying "we are what we eat" holds true. The combination of western nutritional principles with eastern energetics enables us to use food as medicine. 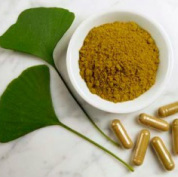 Herbal remedies have been used for thousands of years as a natural and safe way to restore health. Herbs can be used for many different conditions and, if prescribed by an herbalist, are very safe and effective. We live in high-stress times, and stress depletes the body. That's why it is so important to take care of our bodies and manage our stress. Regular exercise, adequate sleep, Tai Chi and Yoga are great ways to do this.